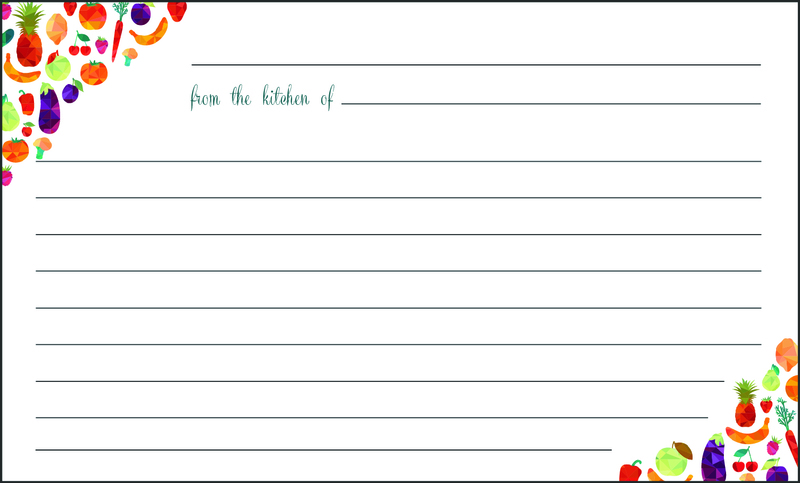 These colorful recipe cards can be printed one at a time or four to a page. Print them front-to-back on high-quality cardstock and give as a gift, or keep them for yourself and brighten up your recipe box. They’re completely free and can be printed and shared as many times as you like, as my gift to you. Click on the link below to open the file in a new window. Then right-click on the image and click ‘Save As’ to save the PDF or JPEG to your hard drive. ♥ CLICK HERE for a two-page PDF with four recipe cards to a page, front and back. ♥ CLICK HERE for a JPEG of the front side of the recipe card only. If you’re going to start meal planning (because you totally should), you’ll need a good meal planner — something to write down and keep track of your meals and snacks. 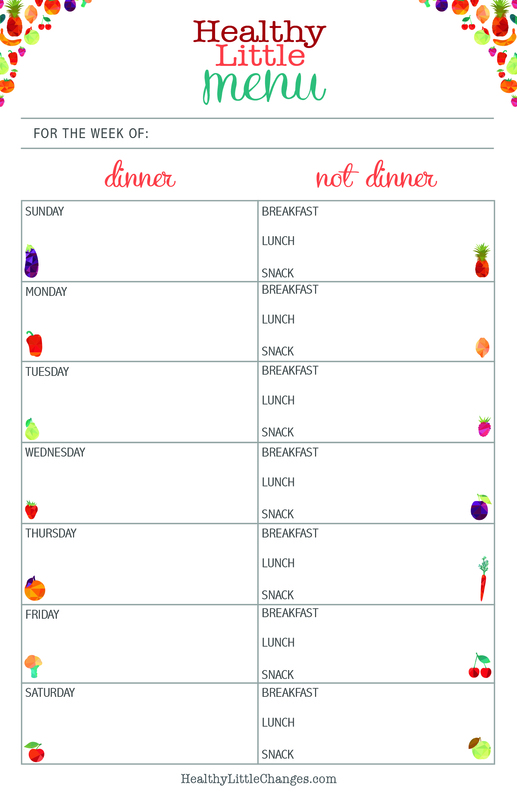 This Healthy Little Changes meal planning sheet comes as a PDF with two to a page so you can print as many as you need. It’s totally free (and completely adorable, if I say so myself). Click on the link below to open the file in a new window. Then right-click on the image and click ‘Save As’ to save the PDF to your hard drive. ♥ CLICK HERE for a one-page PDF with two menu planning sheets to a page. 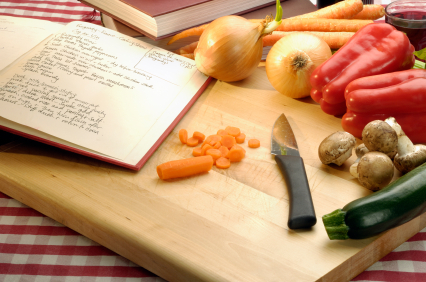 Healthy Little Changes eGuides – COMING SOON! Any other questions you have, or anything else you’d like to see in these eGuides? Send me an email to Lindsay@HealthyLittleChanges.com or leave a comment below. Thank you for your piece about making one meal for the whole family. I desperately need this and am ready to do anything. Is your e-guide available yet? Thank you again for sharing your story and providing people like me with some hope! All four family members (including me) are picky and I have some food sensitivities so it’s been extremely hard for us. You’re welcome, and thank you for your kind words. Unfortunately the guide isn’t ready yet. Life keeps getting in the way and I haven’t had the time to finish it. But as soon as I do, I’ll leave you a comment so you can be sure to pick it up.